Phenomenal and awe inspiring novel! The heroine of this story is Lianna MacKinnon. She thinks if she gives her innocence to a total stranger it will resolve her problem to marry a hated Norman Lord! Yet her father, Alastair advises Rhys to pretend he is another Scottish highlander and get to know his true daughter. As he knows his daughter won’t even give him a chance if she knows he is the Norman she is being forced to marry. Rhys does not feel right about this dishonesty but understands her prejudice against Norman’s. Plus her selfish gambling brother does not feel right about Rhys getting all the titles and lands he desires. Rhys de Laurent and Lianna had been betrothed and a match since before Lianna was even born. Lianna knows most of her kin and clan think her ways as unusual, odd and different. As she keeps everything clean and tidy and in order.Some nowadays might call it obsessive compulsive disorder, known as OCD. She always has made sure she has known every clan member by name and what they need and cares for everyone. Her clan is starving and if this marriage does not happen it could be their destruction and exile! As the castle and lands belong to Rhys de Laurent. The Normans have every right to throw the entire clan off the land. As Rhys father made an alliance that depended on this marriage. His father could of exiled The MacKinnon Clan long ago. However, since his mother and Rhys’s grandmother loved her second husband, Fergus MacKinnon and her life in Scotland, he did not. Rhys Grandfather owned the lands. Plus Alastair knew his son would of been a horrible leader due to his dangerous habits and selfish needs. Yet is Lianna we’re born a male she would of made a wonderful leader. Like her father, Lianna always puts the clan first, even when she is being mistreated by her own clan members! life of starvation and being homeless? How can she even let a filthy Norman touch her...again? Will she ever see Rhys and his people for whom he truly is? A fair and good leader who cares for his people. A good fighter with an intelligent mind, a passionate lover, a man that can’t go of his pride with a few skeletons in his past. I highly recommend you read this gripping emotional story about betrayal, lies, prejudice, pride, forgiveness, faith, trust, joy, passion, love and so much more! You can read as a stand alone but I highly recommend you read in series order. 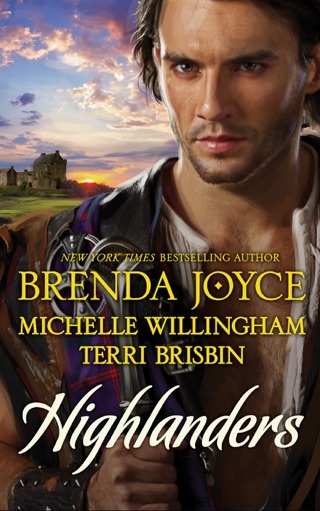 For example book #1 Forbidden Night with the Warrior is a actually about Rhys’s younger brother Warrick De Laurent and Rosamund de Beaufort. OMG have those tissue ready! Another Michelle Willingham emotional winner that I could not put down or stop sobbing through! If I get that attached in a story well it means it’s an absolute masterpiece in my opinion. 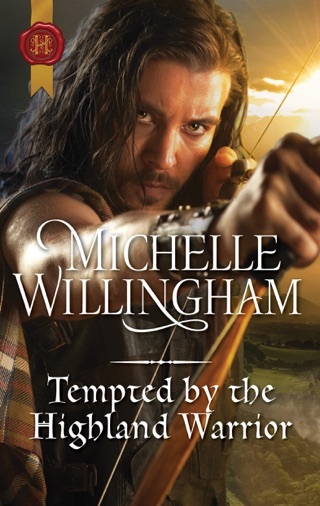 I have been a fan of Michelle Willingham books since her debut, she still blows me away with each and every book she writes and releases! A delightful action packed emotional novel with all the elements romance readers love! Plus with phenomenal settings, many faceted characters and emotional plotting! I never know what to anticipate next...which is totally brilliant! I can’t wait for the third novel in this amazing Forbidden Night series. Book three is titled “Forbidden Night with the Prince”. I have absolutely and unequivocally loved this emotional heartstring pulling series! It is definitely one you don’t want to miss! I received an advance readers copy from the author. I voluntarily agreed to do an honest and fair ‘review and blog. All thoughts, ideas and words are my own. Since birth, Lianna MacKinnon has been betrothed to Rhys de Laurent. A man she’s never met and has no desire to marry a Norman. Rhys decides to find out if there is any chemistry between them before he decides to reveal his true identity. Passion ignites, sparks fly and the betrayal begins. Can Rhys have the marriage he truly desires? Will Lianna overcome her hatred towards Rhys? Or will someone interfere with their destiny? I loved both Lianna and Rhys’s characters. Lianna was passionate, showed a strong sense of courage and a true leader. Rhys was determined, loyal and compassionate. Thank you Michelle Willingham, for letting me read an advanced copy of this book!